Hino Motors Philippines (HMP), the exclusive distributor of Hino trucks and buses in the Philippines, recently showcased its world-class products, including the Hino 300, 500, and 700 Series trucks, in a sequence of cross-industry events. Last October, participated in Maynilad Water Services, Inc’s Partners for Growth: Joint Vendors Conference and Exhibit, which put the spotlight on the water industry’s vast strategic partnership network. Other events on HMP’s exhibit roster included PhilConstruct 2016, the Philippine construction industry’s largest trade event held at World Trade Center, Pasay City last November, and the 63rd Annual National Mining Safety & Environmental Conference (ANMSEC), a discussion on sustainable mining practices, held last November as well. HMP’s participation in major industry exhibits reflects its continuous efforts in solidifying its relationship with key construction, mining, and start up businesses, to maintain its spot as one of the Philippines’ leading truck companies. By offering top-of-the-line commercial vehicles, HMP enhances its partners’ service capabilities in fulfilling logistic demands across different sectors. 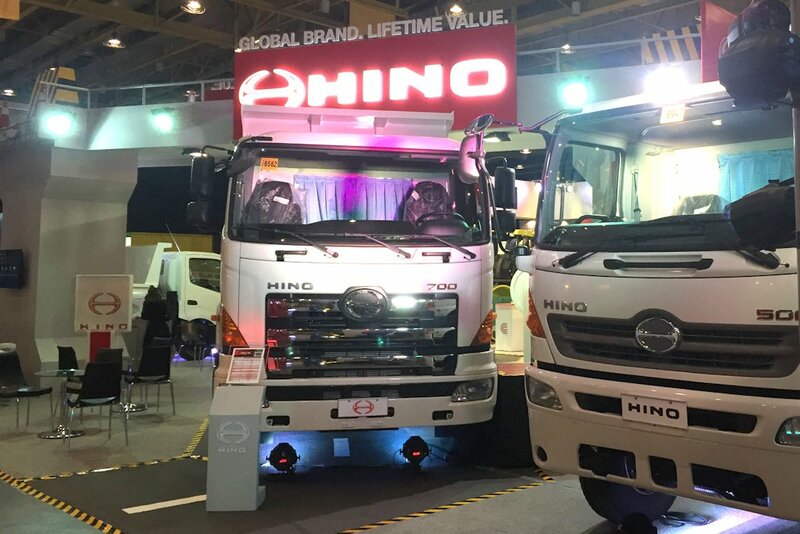 “Committed towards excellence, Hino strives to deliver safe and durable trucks to complement transport requirements of businesses within key Philippine industries. By participating in relevant exhibits, we are fostering awareness on our dedication towards logistics reliability and maintenance efficiency, which can serve as a competitive advantage for businesses planning to increase their local footprint,” Mr. Hiroshi Aoki, President, HMP said. For over 40 years, HMP has been serving as a one-stop shop catering to the bus and truck needs of both small to medium businesses and large big companies alike. By offering quality trucks and buses, HMP ensures that its partners are able to leverage on its product and service expertise in meeting their shipment and logistics needs.